We've got a new trip to Japan coming up next month, so you're going to be hearing a lot about that for the forseeable future. I thought I'd warm up a bit by giving a sort of primer on visiting the country for anyone who's planning on doing it for the first time. I'm sort of old hat at it by now, and of course my wife is native. Between us, I think we've got it pretty much figured out and I thought I may as well share some of our wisdom. I'm going to cover three or four broad categories: how to get there, where to go (and stay), what to do and how to enjoy it. Some of those things may seem obvious, but there are little tricks that can save you a lot of money and a lot of headaches. And the last category is maybe the most important - lots of people just can't get their head around Japan once they get there. I'll give you some tips to minimize the culture shock. It may scare you at first, but the fourth option will get you the best rates, often by far. The three biggest independent Japanese travel agencies are H.I.S., JTB and IACE. I used to use H.I.S. 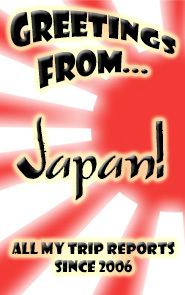 almost exclusively, but they've since revamped their web site and gone Japanese-only. So they're probably out. You could try to call them, if you can find their number anywhere. JTB and IACE are a bit more westerner-friendly. Just for laughs, I just priced a flight from Los Angeles to Tokyo-Narita using these two agencies, followed by Expedia. JTB's fares start at $720 for an unspecified US airline (that just means they can choose whichever's cheapest when you buy the ticket). IACE's start way down at a suspiciously low $435, if you don't mind taking the scenic route via Korean Air. Their non-stop fares start at $679. Expedia's fares, by contrast, start at $990. At other times of year, this difference can be even more stark. Over the winter, for example, fares at the Japanese agencies can drop into the $400 range for a non-stop flight - Expedia will rarely drop much below that $990. The reason why this is possible is that the Japanese airlines have a better relationship with the Japanese travel agencies, and they work on a "reverse auction" system whereby tickets actually get cheaper the longer they're unsold on the market. The odd thing is you would think the same would be true for US airlines and Expedia or Orbitz, but it doesn't seem to be. Prices for US airlines are lower, but then they're lower on the Japanese sites as well. You could also do what we've done the last two trips we've taken, and that's order through JALPAK. They're Japan Airlines' affiliated agency, so naturally they have the best relationship with the airline. Couple caveats: first, that doesn't mean they necessarily always have the best rates; and second, you're stuck with JAL going through JALPAK. Not that that's a bad thing, but I'd say JAL is the second best airline flying to Japan - the best is ANA. Of course, ANA is also generally the most expensive. But you do get what you pay for, and on a long flight, that matters. We like JAL too, though, just not quite as much. JALPAK will do everything for you; they're a full service travel agency. 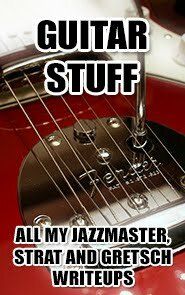 JTB and IACE seem to be as well, but I've never used them for anything but flights. JALPAK also gets some pretty nice hotel rates - for our upcoming trip, we're staying at the Grand Prince Hotel in Akasaka and it's only costing us 15,000 yen per night. That's about $130 - a good deal for any hotel in downtown Tokyo, but about $100 off the regular price at this particular one. What separates the different airlines on this route from each other? One word: everything. 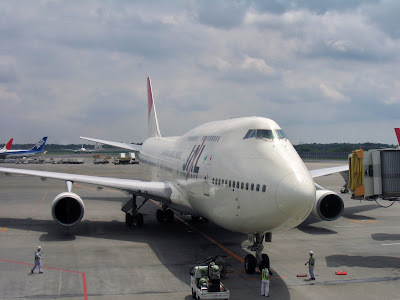 Between us, my wife and I have flown United, Northwest, American, ANA and JAL to Japan. The US carriers' planes are universally dirtier, the crews less professional, less nice and even less well-dressed, the food is bad, and there is just less quantity of service. On both ANA and JAL, the planes are always immaculate, as are the crews, and while the flight attendants can be a bit robotic, they're never anything but nice and they're always available. The food is good and there's a lot of it. I have also never arrived late on either Japanese airline. This is pretty subjective, but there are two obvious cities in Japan that first-time visitors should visit: Tokyo and Kyoto. (No offense to other cities in Japan; I just think these two should be first priority. Ok, maybe you should visit Hiroshima if you can... but it's a bit out of the way.) Most people I know only go to one or the other, thinking they don't have time to do both. 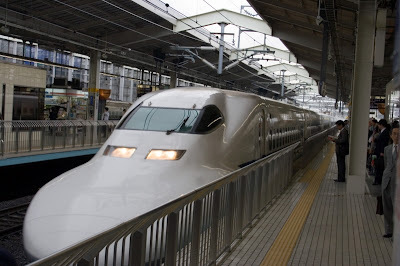 But Kyoto's less than a 3-hour ride away from Tokyo on the shinkansen train, and that's bearing in mind that both train stations are directly in the heart of each city. You can be at the top of Kyoto tower one minute and be on a shinkansen to Tokyo literally 5 minutes later, then having dinner at La Rochelle in Shibuya within 3 hours. So yes, you have time to do both cities. Why those cities? To give you a sense of both old and new Japan. This is an ancient culture, but also a very modern one - to really get the full experience, you need to see both sides of it. Kyoto is home to a large number of historic Japanese temples - including the one that almost just became one of the new "seven wonders of the world", Kiyomizu Temple. It also has quite a few museums and traditional Japanese gardens, and it's home to almost all of Japan's few true remaining geisha. Tokyo, on the other hand, is probably the most modern city in the world. Keep in mind that while it's centuries old, the entire city was firebombed to its foundations repeatedly during the waning days of WWII and then rebuilt following the war. The oldest buildings you'll see in the city date to around the 1960's. Even that's rare - it almost seems like the Japanese became used to building after the war ended, and they've never stopped. With so few true historical landmarks remaining, buildings are torn down almost at whim and replaced with more modern structures. The result is a bustling sprawl that's constantly changing, attractive to young people and filled with energy. Ok, so those are the cities you should visit first (though there are plenty more places to go if you ever return). The question now is where to stay. 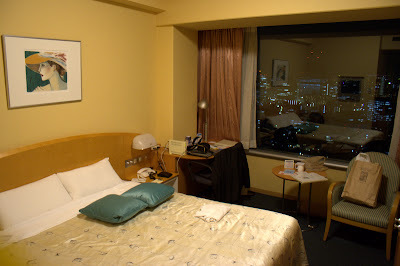 You can read the post on this subject from my last Japan trip report - though I focused on the Shinagawa Prince there, as that's where we were staying. The main point, though, is that it's not difficult to find a decent hotel in Japan - and nearly all major hotels are going to be pretty much the same as what you'd expect anywhere else. Don't worry, they're not going to make you sleep in a drawer or anything. One major consideration that I didn't touch on much in my earlier post is the role of transportation availability in your choice of hotels. This is pretty common to most big cities, but it's a good idea to look for a hotel near a transportation hub. For example, I mentioned the Shinagawa Prince, which is literally across the street from one of the largest rail hubs in Tokyo. Convenient to pretty much everywhere. In Kyoto, even though rail isn't the best method of transportation within the city, it's still best to pick a hotel near the train station because many bus lines stop there too. It's also where you can buy daily and weekly bus passes. One thing any American should appreciate about Japan in general is that there is no real tipping to speak of. Never in restaurants, rarely in hotels. It's never actually expected. I'm sure some westerners do it out of habit so occasionally these days I do feel as if hotel workers think they might get a tip out of me, but it is never required and in fact is in most cases explicitly forbidden. First, not to toot my own horn or anything, but I'd recommend reading through my entire report from my last trip. (Remember this is a blog, so it's in reverse order - skip to the post dated November 3 to start with the last post of the trip.) You may get some ideas for specific things to do from what you see there. Go to at least one temple and one shrine. See a show that features any of the traditional Japanese arts - kyo-mai dance, tea ceremony, etc. 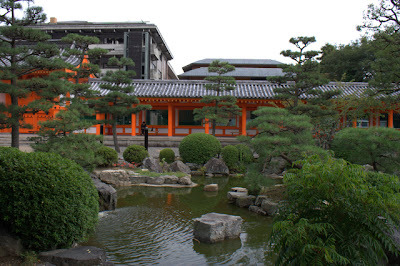 There are, of course, organized tours of both Tokyo and Kyoto, and you can arrange these through a travel agent. I don't like that sort of thing, though, and I don't recommend it. Organized tours keep you boxed into your own little world with your little tour group; you never really get a feel for where you are. You're shuttled along on a pre-determined path and you're never interacting much with anyone but your tour group. And you're seeing what the tour guide wants you to see, not what you want to see. Instead, buy yourself a good guidebook (even a Fodor's guidebook would be fine), pick up some pamphlets at the train station or any other visitor's center, and pick out some things that look interesting to you. Then do those things yourself, at your own pace. 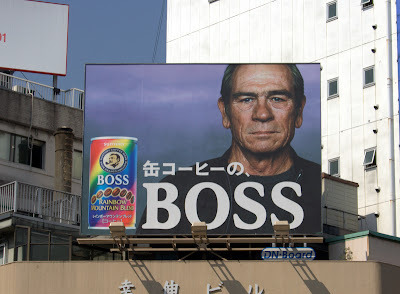 Japan is a funny place. On the one hand, it's probably the most westernized of all Asian countries. T-shirts and blue jeans are standard leisure wear. The business suit is the standard business uniform. McDonald's and Starbucks are everywhere. American celebrities hawk products on billboards and TV advertisements. It's very easy to get lulled into feeling like you never left home, or that Japanese culture is at most a bastardized, somewhat weird interpretation of western conventions. But it's not. And thinking that way is a recipe for an unenjoyable trip. If you're constantly comparing Japan to the west, you're never going to see how unique of a culture it really is. Worse, you're going to get slammed by culture shock once it finally sneaks up on you. The little things pile up. I love Japan and always have, but it finally happened to me on my third trip there. I got sick of stooping to make it through doorways (and hitting my head when I didn't stoop far enough), I got tired of the constant back pain from sleeping on too-hard beds and bending too far down to use a sink or reach a standard kitchen counter, I suddenly couldn't deal with the fact that I couldn't understand anybody and they couldn't understand me, and I even started getting a little annoyed at just how cute everything there is. I felt like nothing there was intended for someone like me; I felt like an outsider. That's the way it happens. One little thing can start a cascade, and eventually you just want to go home. My culture shock was pretty mild, and was gone within days, but I've met people who just could not deal with it. I'm sure some of you have seen the film "Lost in Translation", which is not really one of my favorites precisely because I don't feel like the characters made much of an effort to fit in, but I nevertheless do empathize with the way the film portrays all these little things (like being so much taller than everybody else in an elevator) as adding up to a feeling of homesickness. I think the real trick is to accept Japanese culture - all of it - as unique from the start. The problems come in when you're comparing Japan to the west, especially as so much of Japanese culture seems borrowed from us. Some of it actually is, some of it really isn't, but the point is once it's over there, it is Japanese. They are not trying to be just like us; like every other cosmopolitan culture, they are incorporating and assimilating what they find interesting from other cultures around the world in a way that appeals to them. Don't try to look at every word that seems like it's English and assume they're using it incorrectly - it's not English. They use borrowed words in a way that fits in with Japanese syntax. Don't see the fact that they serve french fries with pancakes as some sort of mistake - that's what they like. In fact, much of what you'll assume to be an American influence probably isn't - all the little pastry and coffee shops you see around, for example, are an Italian and French influence, not American. The sooner you get past these little hangups about pseudo-western influences, the sooner you will be able to celebrate the things that are truly unique about both modern and ancient Japan. Also, don't take things too seriously. The United States is a somber, tense, sometimes angry country. Japan is just the opposite. The tendency here is to want to make everything "cool" or "hip", whereas in Japan everything has to be "cute". That requires a bit of a lighthearted outlook on life or it just gets to be too much. Look for the humor in things; even when it doesn't seem intentional, it probably is. Everything is designed to make you laugh or smile, for whatever reason. Do not be afraid to try anything you want to do in Japan. Japan is a friendly country full of helpful people. 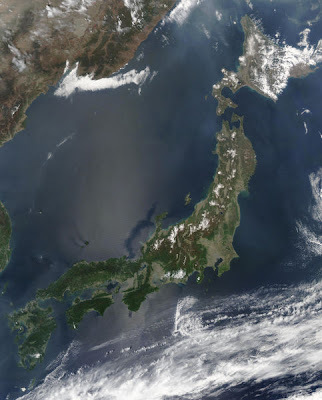 That's a cliche you read about every country, but it is almost unbelievable when you see firsthand how true it is of Japan. No matter where you go (especially as a tourist), you never have to worry about crime, you never really have to worry about getting lost (authority figures are always around to guide you), and you never have to feel embarrassed about trying new things. Lastly, and related to that, it's important in Japan maybe more than anywhere else in the world to abide by the "When in Rome..." proverb. Act like a dumb American and you will be treated like one. Act like a smart, conscientious American and you will be treated better than you have ever been before, anywhere. Japan is an orderly country with a controlled system for everything, whether that means standing on the left on an escalator so others can pass, making sure you wash your hands before entering a temple, or having your order ready by the time you reach the front of the line at McDonald's. Watch what others are doing and follow them. The Japanese get insulted when they feel others are not respecting their society and traditions. But they have an almost unnatural infatuation with westerners, so act with care and they will go above and beyond even their already high standards of service. Well, I hope this was of some help to some of you. If you have any questions about anything, please don't hesitate to ask via comment or email. Two things have been happening lately on my blog, and they're feeding on each other. The first is that I've now got regular readers coming here looking for PUFFY info, and the upshot is that I've been writing more posts about them to satisfy those readers. But it's starting to crowd out the regular content here - this is supposed to be my personal blog. So I think everybody's going to be better served by the fact that I'm moving all past and future PUFFY posts over to a dedicated blog I've set up just for them. So if you're looking for PUFFY info, head over to http://amiyumidas.blogspot.com. You can also get to it through my profile if you forget the address and can't find this post. But I'll leave this up here as the final PUFFY-labeled post on this blog, meaning it should always appear at the top if you click one of the puffy labels on the side navigation. The good news is this also means I'll be able to post even more frequently over there, because I won't be worrying about how weird it is to have yet another PUFFY post at the top of my main blog page. And for those of you here who don't care about PUFFY at all, it means you won't ever have to read any more about them. So obviously over the past week or so, I've gotten quite a few new readers. Some of you are coming back and just looking at the homepage, not any specific post - maybe you're wondering if I've written anything new in the meantime. That's cool, but there's an easier way to satisfy your curiosity. Down at the bottom of my blog, you'll see a link that says "Subscribe to: Posts (Atom)". (That link right there works too.) If you're familiar with RSS, this works the same way. If you're not familiar with RSS, this is how you can keep up to date with my blog without having to remember to constantly visit my homepage. And it's not difficult at all to set up. Click that link in Firefox and you'll immediately be prompted to subscribe to the blog in your choice of several readers, or as a live bookmark directly in the browser. I don't have IE7 but I believe it does something similar. In IE6, you'll need to either download a separate blog reader or just use Google's Reader, which is very easy, especially if you already have a Gmail or other Google account. It's here. Update: My feed is now going through Feedburner, so the initial page when you click the "subscribe" link looks a bit different than I described above. Don't worry - it works the same way. Just select your reader of choice at the top of the page when you click the "subscribe" link and you're done. Feedburner is basically a stat-tracker for RSS feeds. It'll tell me what you guys find interesting and what you don't, and that'll help me write better posts in the future.